Our product range includes a wide range of braided copper flexible connector with tin ends, stranded wire rope and bare copper braid flat. 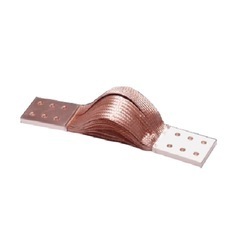 Our clients can avail from us a significant gamut of Braided Copper Flexible Connector with Tin Ends. Developed by making use of supreme quality required basic material, these offered products are in compliance with the illustrated parameters of the industry. Furthermore, we offer these connectors in different sizes and specifications so as to meet divergent demands of the clients. 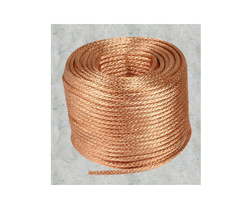 By utilizing modern machines and latest equipment, we are engaged in offering a wide range of Bare Copper Braid Flat to meet the demands of our clients. 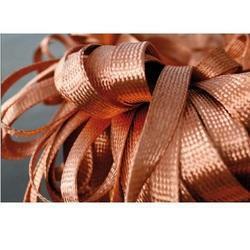 ThisBare Copper Braid Flat is available in the market in various sizes and thickness. High-end technologies and modern machines are used while manufacturing this Bare Copper Braid Flat.